Those who were not able to attend the 8th November meeting at Battersea will be surprised to learn that there have been major developments in the memorial project. 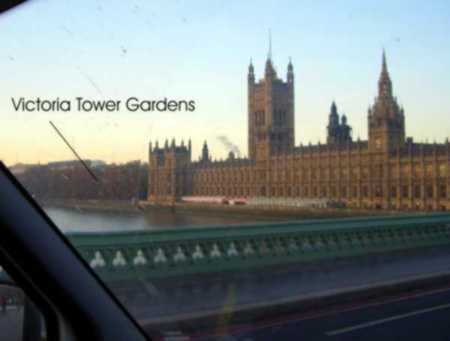 Less than two days before the meeting the DCMS (Department for culture, media and sport) responded to the growing pressure for an alternative site to Battersea Park and offered space in the Victoria Tower Gardens. For those who are interested, Google Earth gives a spectacular eye view of this alternative location. 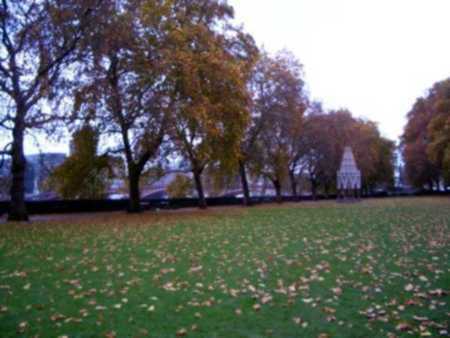 It is a triangle surrounded by trees, between the Houses of Parliament, Millbank, Lambeth Bridge and the Thames. It contains some important sculpture and monuments, including a well-known Rodin (The Burghers of Calais) and the Buxton Memorial Fountain commemorating the abolishment of slavery in the UK. What does this mean for the memorial project? Well, for one thing, it is a very different sort of space compared to the English Garden in Battersea Park. A number of us went to have a look at it and it was striking how many people immediately appreciated that the different setting meant a different kind of memorial, and that started us all focussing on who and what the memorial was for. What is proposed in Battersea Park is a more or less private space for families of the tsunami victims to come and contemplate in peace and tranquillity. 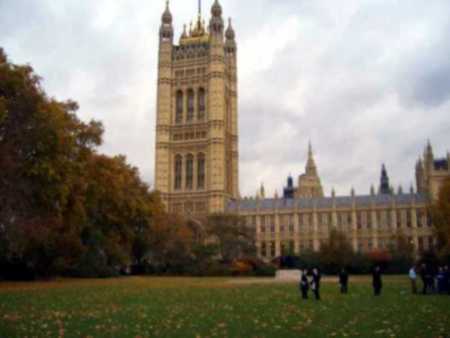 A memorial in the Victoria Tower Gardens would be not only for the families of the bereaved but would also speak for the wider community touched by the tsunami including those overseas visitors who would find their way there. Because of the nature of the location a memorial there would also be seen by a much larger section of the general population, including our administrators. It would be fair to say that most of us who saw the new site regretted the loss of intimacy, but felt that the loss was not perhaps so serious compared to the potential of reaching out to a greater number of people. The families have already created their own private spaces, and so the memorial is, in a sense, not primarily for them – they will never forget (I haven’t expressed that very well but I hope you can work out what I mean). There was general agreement that the vote for Battersea was based on a false premise, and that next time we would have to reach the wider tsunami community for a genuine mandate. So, in a way, we are back at the start but not the original square one. The Battersea Park option is not dead, but is looking unwell. VTG has a high visibility, but is challenging.